Having this wonderful comment box in your blogger blog is one of the best thing every blogger will love to see and it has bring more light to every blog and it bring more conversation in your blog. Follow the steps below and make sure you do it correctly. Check the “Expand widget templates” check box. Now press CTRL+F on your keyboard and search for the code below. Then replace the above code with below code. Now go back to your dashboard. 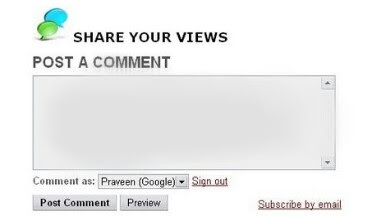 Click the Settings tab >> Comments and sharing. On the Comment Form Placement Check Embedded below post. Finally click on Save the Changes.